Placer mining claims have been in existence for over 100 years in the Yukon dating back to the period prior to the famous Klondike Gold Rush of 1898. These mining claims are not fee-simple lands; they have a long secure legal standing whereby the holder of the claim has the ownership of the minerals therein. The size for all placer mining creek claims in the Yukon is 500 feet long along the (base) centre line of the creek by 2,000 feet wide (1,000 feet on each side of the centre line of the creek). Scientific reports have shown that 70 to 75% of all the gold on the creek is under 80 mesh in size (80 mesh equals 0.007 sieve-inches or 180 microns) and not recoverable by using conventional placer mining technology. This means that, even if the creek was mined previously, up to 75% of all the gold is still there. In the past, most miners used mercury to recover the gold. During the mining process, mercury was released into the environment. At that time little was known about the environmental impact of mercury. We now know the damage will continue until the mercury is removed. We will use our MR System to remove mercury, lead and other metals as we recover the gold. Our geologist has conservatively estimated that the proven geological reserves are 464,072 ounces of gold at Fry Pan Creek, based on testing to 15 feet of depth, with reserves of 3 to 4 times that in the additional 60 feet to bedrock. This equates to approximately US$150 million in proven gold reserves with a potential of US$450 to US$600 million in total estimated reserves. Therefore, grade, tonnage and feasibility being proven, we have conservatively taken the minimum geological assessed value of 464,072 oz. gold @ US$325 per oz. gold as the minimum value for this deposit. Fry Pan Creek is permafrost�frozen solid from surface to bedrock�and has to be thawed. Additionally, it is a clay deposit which calls for the specialized technology we will first test on the Lower Burwash Creek. We will begin testing/mining operations on Fry Pan Creek in 2005. Our reserves have grown substantially since 2002. Although we cannot put a geologically proven number on our new reserves until we do the required exploration work, the limited testing we have done indicates US$10 per cubic yard. Also, the 10 claims on Burwash Creek are not permafrost and thaw quickly each spring. We have a purchase agreement for the lower 10 claims on Burwash Creek, where we ran our test program during the 2003 season. We plan to continue testing operations there in 2004. Previous hand testing with a gold pan and other conventional placer testing methods on the lower Burwash Creek claims indicated the pay-gravels to have an average value from surface to bedrock on virgin ground of US$10 per cubic yard at US$325 per troy oz. gold. When we operated and tested the Model �A� MRS plant (the forerunner of the MR System) during the 2003 season in a conventional style process, we recovered, on average, US$10 gold per cubic yard of processed gravels. The lower 10 claims begin at the downstream end of the first canyon on Burwash Creek which is approximately 2 miles upstream from Burwash Creek bridge on the Alaska Highway. The valley width is approximately 200 feet at the upstream end of Claim 1, increasing to approximately 500 feet in width at the downstream midway point of the 4th claim. This is 1,750 feet of claim length with an average of 15 feet of pay-gravels above the clay layer. There is also approximately 10 feet of pay gravel depth on a partially mined right-hand limit bench that has approximately another 500 feet in width and runs the length of the claim. Our work last season on the lower Burwash claims gave us a good indication that we can recover approximately US$10 gold per cubic yard from these pay-gravels without using our new technologies to recover the fine and ultra-fine gold. This is on the upper 3.5 claims of the group where the pay-gravels are between 10 and 20 feet in depth above the clay layer with an average of 15 feet of depth. For calculation purposes, we will use 12 feet as the mean depth of these claims. 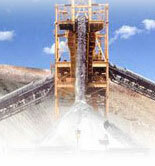 Using an average of 350 feet of valley bottom and 500 feet in width of bench, the mining width on average is 850 feet. 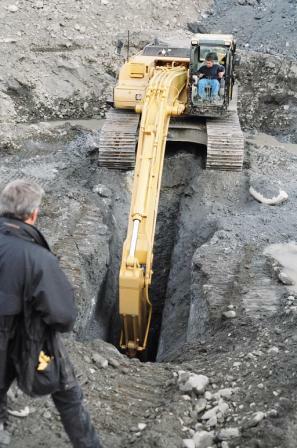 Multiplying that by an average of 12 feet in depth of pay-gravels and by 1,750 feet of length gives a total of 661,111 cubic yards of pay-gravels. Using an average of US$10 gold per cubic yard gives us an estimated value of US$6,611,110 for this portion of the deposit using conventional recovery methods. Recovering the fine and ultra fine gold alone (no other metals) could double or triple this figure. In this same claim area there is a clay layer that can be dug and processed as part of this placer deposit right down to the hard-rock. More complete testing is needed, but preliminary work in 2003 indicated that there are significant levels of gold and other precious values in this clay which could more than double the current reserve estimates for this area. We are basing these estimates on a minimum clay layer of 35 feet. 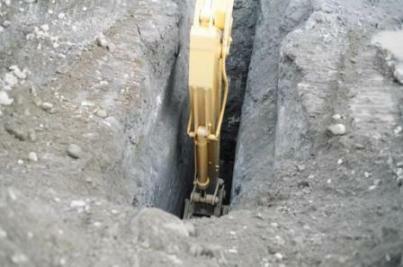 We know the minimum depth of the clay layer because during exploratory excavation in 2003, the fine clay layer went deeper than the maximum reach of our excavator. Halfway down Claim 4 the right limit bench widens and drops off to the valley bottom giving the full 1,000 feet on the right limit of the claims. The valley bottom also widens out on the left limit so that by the end of the 5th claim, the valley width is more than 2,000 feet. This gives an average size of 1,500 feet in width and 750 feet in length. The valley width is well over the 2,000 foot width that we are granted per claim from the downstream end of Claim 5 all the way to the downstream end of the Claim 10. This gives us the full 2,000 feet in width by 2,500 feet in length for these 5 claims. The conventional testing done on this section of the claims has run between US$10 and US$20 gold per cubic yard.